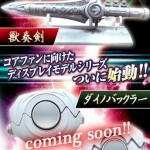 For Rider, Wave 1 will have Blade's Blay Rouzer, Gaim's version of the Mousou Sabre from Gaim, Ghost's Gangan Sabre, and Zangetsu's version of the Musou Sabre. 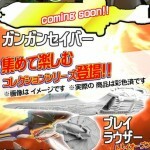 For Sentai, they'll be doing the Dino Buckler/Power Morpher and the Zyusouken/Dragon Dagger, Dragon Dagger will have it's own display stand. My thoughts exactly. DX Weapons are already small, why make even smaller versions? I saw Prop Replica in the title and thought these were full-sized replicas, which would be amazing. These are just pointless. 150 mm is really small, so are these going to be smaller than the DX versions. Well, even though they're small they look accurate shapewise to the show. That's been my problem with roleplay weapons is how minuscule they look compared to the show, swords in particular have this problem. I think a lot of adult collectors, especially in Japan, have trouble finding space to display large roleplay toys. It's clearly an attempt to sell high quality and accurate versions that can easily be displayed on shelves. But yeah.. I'd much rather see Kamen Rider and Sentai stuff from the Proplica line. Maybe it's accurate proportions and a different target audience. The proportions on the Musou Saber look show-accurate. 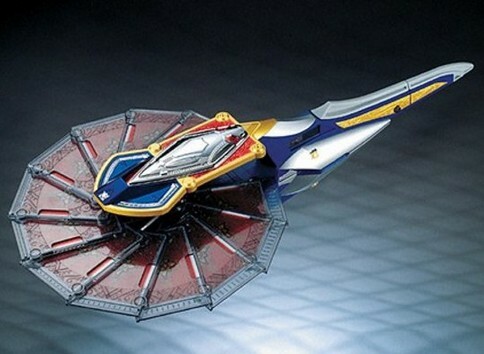 The DX versions, at least for the weapons, tend to look stunted, and they're aimed at kids. Also, I think Random's notion about display space is a good one. Why couldn't they make them 1:1 scale? 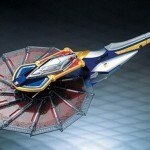 I don't get why they would make tiny replicas of the weapons.